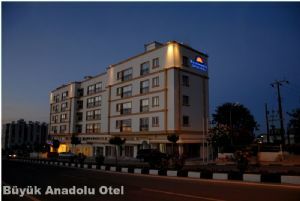 The Ada Beach Hotel is a real gem, located directly at the sea front offering unspoilt natural beauty. Its friendly and relaxing atmosphere and the professional service are the result of generations of experienced hoteliers and a long tradition of hospitality. 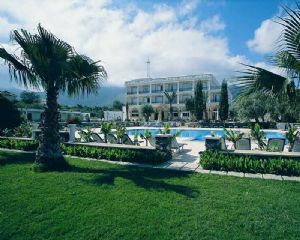 You find the hotel on Kyrenia's most beautiful beach. 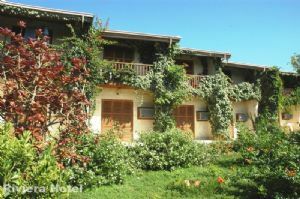 It is suitable for both, families and single visitors, looking for quiet and relaxing holidays. . .
Ada Beach Hotel has 5 suites, 6 deluxe and 65 standard rooms, with either balcony or a french balcony facing the beach and pool . . . offering stunning views over the Mediterranean Sea. The rooms are of exquisite standard. Facilities include central heating and air-condition, a direct line phone, hairdryer, minibar, safe and satellite TV. The luxury rooms even have an en-suite Jacuzzi. 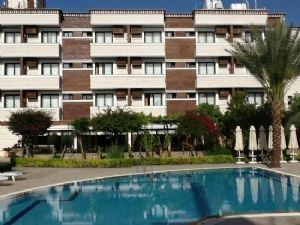 Ada Beach Hotel offers a range of facilities, including a sand beach with a pool area next to it, a children's play area, a spa with an indoor-pool, Turkish bath, sauna, gym and massage service. The hotel also has dry cleaning and laundry services. There is wireless internet access in the lobby.